The first widely used TV remote control had four buttons (power, volume, channel up, channel down) but no batteries; press a button, and a tiny hammer inside the remote would strike an aluminum rod, transmitting an ultrahigh-frequency tone to control the set. The Space Command ruled the living room for more than 25 years before being replaced by remotes using infrared technology. And thus a nation of couch potatoes was born. For more information, see Zenith's remote control history page. Photo courtesy of Zenith. A wristwatch with no springs, gears, or hands? 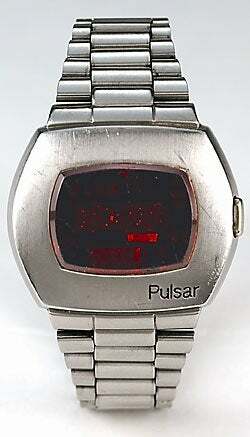 In 1970, when venerable U.S. timepiece maker Hamilton announced the Pulsar, the first solid-state watch, the concept was so revolutionary that nobody seemed to care that its LED screen actually displayed the time only when you pressed a button. The first Pulsars were $2100, solid-gold jobs, but a steel model was eventually available for a thriftier $275; everyone from Gerald Ford to Roger Moore was a fan. Check out this dedicated site for more information on Hamilton's breakthrough and its gaggle of imitators. Photo courtesy of Hamilton Watches International. The marvel of this $15.95 camera was its easy loading system. Kodak wanted to eliminate amateur errors and make photography foolproof. To do this, the company put the film for this camera--and its successors--into a plastic cartridge. The user could pop the cartridge in and out, and not worry about exposing the film to light or misaligning it so that it wouldn't advance. To illuminate the subject, you placed a flashbulb in a little compartment on the camera's top that popped open. 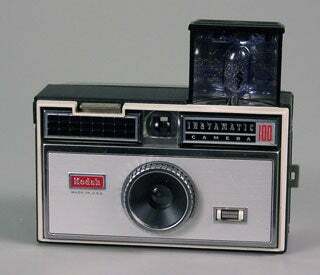 The camera was hugely popular: It is estimated that tens of millions of Instamatic-type cameras were sold. Photo courtesy of The George Eastman House. It sported blinking lights and toggle switches, and you assembled it yourself from a $397 kit sold by an Albuquerque mail-order company that had formerly been in the model rocket business. The Altair was, in other words, a gadget, but it was also the first popular home computer. Not very useful at first, it soon inspired an entire industry of upgrades, peripherals, and software--and prompted computer geeks Bill Gates and Paul Allen to form a company to sell a version of the BASIC programming language. (They called their startup Micro-soft, later ditching the hyphen.) Also present at the creation: MITS documentation manager David Bunnell, who went on to found a bevy of successful computer magazines, including PC World. The Computer Science Club at the University of California at Davis has more information, including a photo of the MITS. In the early 1980s, when people talked about "portable computers" they meant luggable monstrosities like the 24-pound Osborne I. 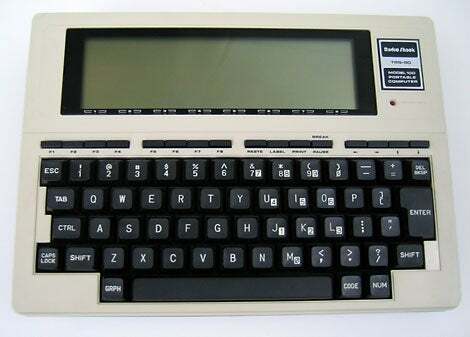 Then Radio Shack introduced the Model 100, the first popular notebook. Starting at $799, this 4.25-pound featherweight boasted built-in word processing and other apps, and its internal modem let road warriors get online at a zippy 300 bits per second. More than 20 years later, the full-travel keyboard on the TRS-80 is still pretty impressive. Like all other TRS-80s, the Model 100 is lovingly documented at Ira Goldklang's TRS-80 Revived, and at this fan site. Photo by Ira Goldklang. In the old days, kids couldn't wait till they were old enough to get their first two-wheeler. Now they yearn for their first Game Boy. The original handheld, as shown at CyberiaPC.com, featured a black-and-green LCD and a slot for matchbook-size game cartridges. 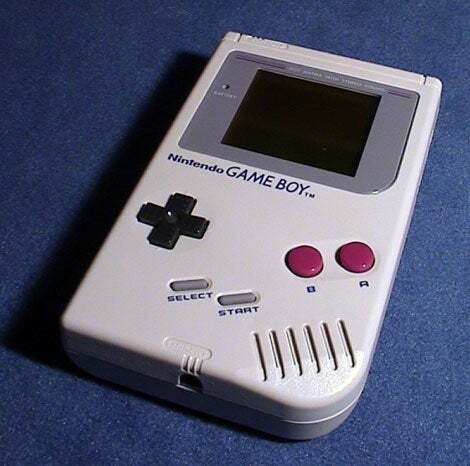 Later versions became smaller and more powerful but maintained backward compatibility with the original, so you could take your favorite games with you as you grew. The Game Boy's lock on the handheld game market remained virtually unchallenged--at least until the Sony PlayStation Portable arrived this year. Photo courtesy of Nintendo. 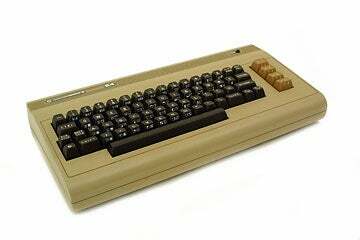 The best selling computer of all time still appears to be the Commodore 64: Estimates of this PC's sales range from 15 million to 22 million units. The first C64 cost $595 and came with 64KB of RAM, a 6510 processor, 20KB of ROM with Microsoft BASIC, 16-color graphics, and a 40-column screen. (How times have changed!) It also was the first PC with an integrated sound synthesizer chip, according to Ian Matthews of Commodore.ca. Photo courtesy of the Computer History Museum. The Newton PDA had the dubious distinction of being lampooned in Doonesbury, thanks to its less-than-spectacular handwriting recognition. At nearly 1 pound and costing $700, it was too big and pricey for most users, but it paved the way for smaller, simpler devices like the PalmPilot and the iPod. At the time, there was no cooler gadget to be found. For more, see this description and photo of the Newton. 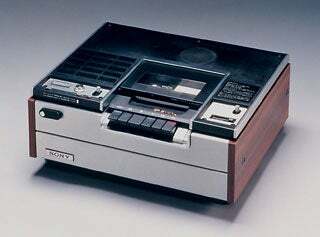 Few gadgets have had a bigger impact than the first stand-alone video cassette recorder. Shortly after the Betamax appeared, Sony was sued by the movie studios; in 1984 the U.S. Supreme Court decided in Sony's favor, finding that beneficial uses of the new technology (time-shifting TV programs) outweighed potential harms (video piracy). (The version pictured here is the SL-6300 from 1975, in a high-end wooden case.) The Betamax changed our lives and helped spawn the $20 billion video rental industry, but it couldn't compete with JVC's cheaper VHS devices and eventually disappeared. Those who love and honor all things Beta, however, have a place to gather. Photo courtesy of Sony Electronics. Sanyo was the first to bring a camera phone stateside, although it wasn't the first to introduce such a device to the world--that credit goes to Sharp, which released the J-SH04 in Japan in 2000. Sanyo's SCP-5300 took 640-by-480-resolution snapshots, and according to PC World's first look, the clamshell phone was easy to use. But the quality of the photos was mediocre, and the only ways to get images off the phone were to send it to another person's cell phone or e-mail address or to upload them to Sprint PCS's Web site (the handset was available exclusively to Sprint customers). But, hey, it's almost impossible to find a cell phone without a camera these days. That's saying something. Photo by Marc Simon.